The COINS Auto-Section Box tool gives you tremendous speed and agility over managing three-dimensional views when analyzing model areas of particular interest. It allows you to quickly create temporary and permanent views to be used for immediate interrogation of the model or for construction document deliverables. This works by allowing you to focus on the model instead of managing views or a view’s properties. Works with elements in linked files. Special handling of grids, section lines, elevation markers, levels, scope boxes, dimensions, and tags. Option to create new views. Toggle the section box on and off to gain a better understanding of the selection within the context of the whole model. Option to arrange the original selection view and the 3d view side-by-side. Align section box to walls, members, or other line-based geometry. Works in Revit 2015/2014/2013 as well as Revit 2019/2018/2017/2016. Click here for a video showing the top 5 uses. What an add-in. I'm surprised most firms have not heard about or used this tool on a regular basis. This is a must add! This is a great tool! When I first started doing BIM, I was dragging around 2D sections everywhere to work on walls. Once I was introduced to the Auto Section, it was a game changer. I now use this tool all day, every day. Thank you for developing such a useful tool. User support response is also very quick and eager to help. Great tool, does what it says it can do. Would be even better to have keyboard shortcuts to quickly view something and turn it off. Hi Marco. You can apply keyboard shortcuts - under Revit Options->User Interface->Keyboard Shortcuts and filter on the "Add-Ins Tab". This works well when applied to the "Quick Auto Section Box" and "Toggle Section Box" commands. Hi Marco. You can apply keyboard shortcuts - under Revit Options-&gt;User Interface-&gt;Keyboard Shortcuts and filter on the &quot;Add-Ins Tab&quot;. This works well when applied to the &quot;Quick Auto Section Box&quot; and &quot;Toggle Section Box&quot; commands. Jon, I didn't see that at first. Thanks for the help! Now this tool will be used daily. Jon, I didn&#39;t see that at first. Thanks for the help! Now this tool will be used daily. This add-in is in my toolbox of many years standing. Thank you so much for it! Thats a very productive tool I really missed when I switched from Archicad to Revit. Glad we have it now. Most used addon in Revit so far. This Add-in is the greatest tool for daily coordination with all disciplines and it is fast to show sectional areas. This tool will save me so much time. Thanks!!! Excellent tool, simple but powerful, and so quick. Our users love this tool, but I just installed it on a Win 10 box, and the tool is not showing up. Is Win 10 supported? Keep up the good work? Excellent tool, simple but powerful, and so quick. Support was very prompt when I asked about installing for all users in Revit 2015. (see Jon Smith's reply to a review) Thanks! This is an awesome application that gives us the settings and freedom that the integrated section box does not in Revit. Quick customer response and excellent performance. Brilliantly simple & just an absolute necessity in my workflow! Thanks!! But i have one wish. Include a toggle to create a new view or specify an existing view. If a user is not paying attention, they will change an existing view accidentally. We currently have this Add-In as part of our Typical install that serves approx. 180 users. Once it was installed, users began developing it into their standard workflow immediately with fantastic and positive results. Just Install it!....no word to express...!!!! It's just the best tool to quickly see a 3D section cut. Just the best tool! Jon from Coins helped me with a problem I was having with an install issue almost instantly. Great service. I was only without coins for a few hours until we contacted their helpdesk. boy oh boy it’s hard to work without Coins. Auto section box has totally changed the way I use Revit. I Like it, even if I'm still new use this...but this very save my time. Awsome!! Ferramenta muito doida! Espetáculo! Bom preço... Parabéns! great tool to be used !!! Have been looking for those kind of apps for a long time. Autodesk Exchange Apps saves me a lot of efforts. I usually tried to find Revit plugins, add ons/add ins with Google. But sometimes it takes me to some unknown forum and I downloaded some extensions with virus. Thanks to autodesk, I don't need to take risk any more. Can somebody help me please? I used the coinstranslate app but this morning I received this message. " COINS Translate has reached its monthly translation limit. Please try again after the 17th of the month. Exception: TranslateApiException: The Azure Market Place Translation Subscription associated with the request credentials has zero balance. : ID=6346.V2_Soap.TranslateArray.533DE334 It is a great tool but I am stuck now. I use it a lot at work. It works great. Thank you. It installs into the current user's AppData folder but then shows up in: HKEY_LOCAL_MACHINE\SOFTWARE\Wow6432Node\Microsoft\Windows\CurrentVersion\Uninstall I expected it to be under HKEY_Current_User. You should be consistent and follow Microsoft standards so it works better with automated systems like computer images and unattended installers. La uso desde el comienzo, y simplemente es una herramienta fundamental para modelar. Simple de usar, y va directo al problema. Lo recomiendo! Installed as part of base image. However a part is in AppData\Roaming (C:\Users\USER\AppData\Roaming\Autodesk\ApplicationPlugins\CoinsSectionBoxApp.bundle\) So it's not available to new users. With a base image every user is a new user, sort of. And I have to install it for each user on each machine. Download this now! Amazing fast - powerful tool !! If you've read this entire post and still haven't started the download, you're already missing out! Now I feel comfortable running Revit in a meeting. This is an amazing tool and incredibly effective. Is it available for Revit LT? 2015? Hi Nader. The install should work for Revit 2013, 2014, and 2015. Yes, it is available in Revit 2013, I just did not see it the first time. My team is very happy about this tool and they started using it and they feel that the tool is a time saver. I was looking for the same function from a long time, thank you Jon for such a great tool. wish to see more great ideas in the future ! i use this tool for nearly 1year since it came into the store ，i am a Chinese engineer i think this is an useful tool with revit moddller many THX to the editor great tool!! I use this app dozens of times a day. Absolutely essential. Why this function is not in the base program I do not know! 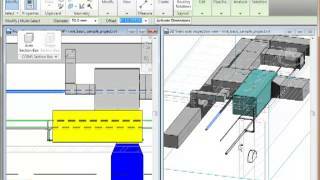 Simply the most fantastic Revit plug-in! This tool is just amazing, it saves you so much time, and its just simple and fast! Thanks for good extension! It would be nice if you add ability to create 2D views for selected elements. It makes seeing what's going on in complicated models so easy! Thank you for making this free and so powerful. It's the one tool I use daily that I know will work the way I want it to every time. It's a breath of fresh air. ... and it does it simply and efficiently. Indispensable tool. This is the single most useful Revit Add-In, bar none! I use this daily. It's the best way to quickly grasp what items are in a give space to be coordinated. anyone have link to 2012 compatible addin files ? My office is using 2012 for certain projects. Jon Smith from BIM development provided me great assistance and sent me a customized link for the outdated version upon my request. It really helped me with my current project. Thanks! It wil be perfect if it also wil work on links. Great tool. Is precise numerical (size) control and snapping (to model elements) possible? Can the section box then be applied back to plan/section/elevation views as a crop box? AAA Best! I love it! This is one of the most beneficial tools that I have installed to date. Our workflow requires us to isolate and work on many highly detailed building components throughout a project. This tool works well and without issue, and has been a huge benefit to us. I have also experienced COINS tech support which is superb and timely as well. Great work! This tool is a huge time saver. Instead of creating and editing hundreds of sections, use this simple and free tool to almost automate the process. You definitely have to get this one. very usefull, a big time saver and free... dont hesitate, just download it. 5 Stars. Such a powerful tool. I use it constantly. I use this tool practically every day to identify problem areas in our Revit models, HIGHLY recommended! Good app. Section Box is a great app. Thanks to Ben Eagles!! Ben zei dat ie goed was! // Ben said it was good! Intuitive and simple to use and is a must have to speed up section box creation. This is one of those things that should just be a part of Revit out of the box. I find myself using this a lot throughout the day. Makes 3D much more useful and accessible. It's intuitive and helpful--thanks for the great app! Simple, fast, convinient. Everybody must have! Excellent and simple tool, great time saver. This tool will keep the ArchiCAD users quiet for a while. Similar to the marquee tool. This is a keeper. There are many Revit user in our office who have to manually adjust the section box to get the view just right. This is add-in is simply amazing! and Free? Nice quick way to create and study a 3-D section of a particular area of your model. Straightforward utility that really speeds up the task of cutting a section for a specific area. This application provide a convinence way to edit or view a particular area. You can select number of objects then it will create a section box around those objects. This tool will save me so much time. Thanks!! It's a simple and fast tool that works at the speed of meeting conversations.